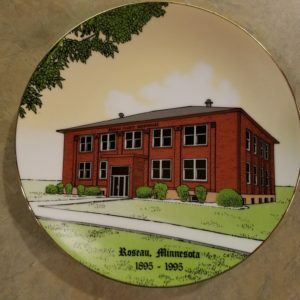 Ceramic collectors plate with a picture of the Budd Hospital. 5″ in diameter. Not food safe.